Martin Doyle will be unavailable for a few weeks from Sunday August 05 as he is going to hospital for an operation. Apologies for any inconvenience. Sunday August 05 also happens to be Martin’s birthday – he has seen 67 summers and looks 50! Happy birthday and congratulations Martin! Thank you for the many good and great qualities that you offer to the world through what you do and who you are. “When people play music, they offer people flowers. 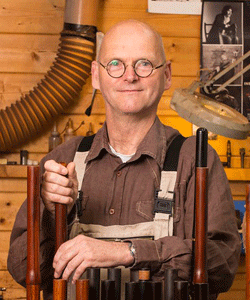 When people make flutes, they offer people seeds.” – Martin Doyle. And what’s a birthday without some music? The following tune is called ‘King Of The Blind’ – a Turlough O’Carolan composition that featured in Nicholas Carolan’s facsimile edition of John & William Neal, A Collection of the Most Celebrated Irish Tunes proper for the violin, German flute or hautboy that was first published in 1724. 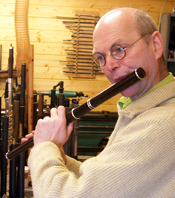 For this piece Martin Doyle is playing one of his own baroque flutes. Here is a lovely rendition of King of the Blind played on harp by Ann Heymann – the instrument that Turlough O’Carolan played during his lifetime. And to finish, a treat that we have featured in a previous post from Martin’s very good friend Ronan Browne (Uilleann pipes). Ronan performs with Róisín Elsafty (sean-nós singing) Siobhán Armstrong (harp) at St. Nicholas’ Collegiate Church, Galway, in May of 2011. This entry was posted in Martin Doyle, Music, Poetry, Updates, Video Clips and tagged Ann Heymann, birthday, few, Galway, harp, Hospital, Irish, King Of The Blind, opertation, Róisín Elsafty, Ronan Browne, Sean nós, singing, Siobhán Armstrong, St. Nicholas' Collegiate Church, tunes, Turlough O’Carolan, Uilleann pipes, unavailable, weeks, YouTube on 5th August 2018 by Admin.